Soft sculpture Plague Rats, Dragons and Various Other Drolleries! Why fabric? I discovered early that I see things in three dimensions rather than two, and was encouraged to pursue sculpture rather than drawing or painting. I tried my hand at pottery, clay sculpture, stained glass and wood carving. Most of these require a lot of space to be left out, special equipment and extensive cleaning (wood shavings every where!) Working in fabric, I was not constrained to drying or firing times, leaving partially finished pieces out of a table and clean up is easy. I can put the fabric in a bag or box and it is exactly the same the next time I start to work on it. Why plague rats? The first time I walked through the gates of the Texas Renaissance Festival, I was hooked. I had already been designing dragons (and even a few unicorns!) and enjoy reading and studying history. And what had the most impact on this time period but the plague. I started making plague rats, and they have progressed and expanded in design ever since. There are more rat people out there than anyone (myself included) could have imagined. I was born in Miami, Florida; but as an Air Force brat we moved several times. I spent the majority of my life in Texas: Del Rio, San Angelo, San Antonio and Montgomery. I received my Bachelor of Arts from Northwestern University in Evanston, Illinois, but it was too cold to stay there for any longer so I returned to San Antonio, Texas. I went to the University of Texas Health Science Center where I received my medical degree and continued my training in Conroe, Texas. I ended up staying in Conroe for the next 30 years before moving to Bentonville Arkansas. I started small with local weekend shows and then took the leap and was accepted to the Texas Renaissance Festival in 1982. Other than a one year hiatus in 2004 due to a flood, the rats have been there ever since. 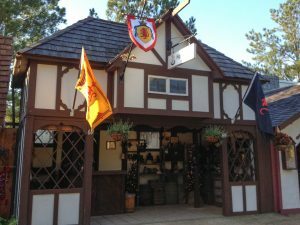 I made cameo appearances the first two years of the Oklahoma Renaissance Festival at the Castle in Muskogee, OK and again in 2019, as well as the Ringling Medieval Fair in Sarasota Florida. I was at Scarbourough Fair for one year but at the time, the traveling schedule was too hectic for my mundane schedule. 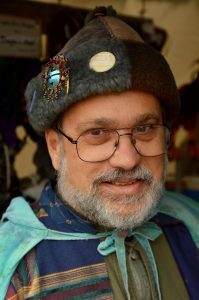 I have been attending the Norman Medieval Faire in Norman Oklahoma the last 7 years. Check out my updated calendar for current event schedule and stay tuned as I may be adding more! 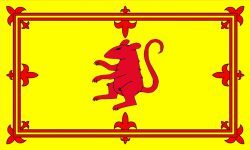 I built a ship cart many years ago to take the rats on the road, and it’s name was the Highland Rat. People assumed that was me and the name stuck! When the ship foundered in the bayous of Houston, the name migrated to the business.